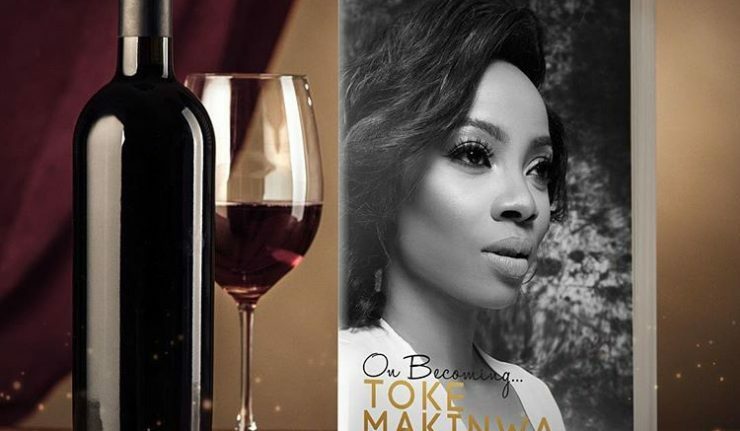 I am no relationship expert, but aside confirming some of the things I already knew, Toke’s memoir opened my eyes to certain realities too; chief of which is the one I just mentioned above. Without giving too much away, it was obvious right from the first chapter that addressed her relationship with her estranged husband that it was a marriage that should never have been contracted in the first place. It brought the desperation of many young women in these parts for the ring to the fore once again. Or how else does one explain being stood up “at the altar” on two or three different occasions? What grown man who knows what he wants subjects the woman he supposedly loves to that kind of treatment? And what sane woman doesn’t read the bold handwriting on the wall after one or two of such humiliating experiences? The purpose of this piece is not to judge the author of the book, or the man at the centre of it all. However, it would be practically impossible not to come away with any emotion after reading its contents. You are either amused by the sheer anomaly of it all or angry or sorry for the young woman who wasted 12 years of her life trying to earn the love of a man. Or you feel a combination of these emotions; which aptly describes what I felt. It’s the reason I don’t subscribe to long term courtships personally, and when I say long term I am referring to being in an exclusive relationship with one person for over 5 years. Now, I know that for young love birds who probably started dating in their first year in the University, it would take 5 years or more for them to get to the point where they are mature and financially stable enough to get married, but how many of these relationships really end in marriage? And oftentimes if and when they do, it’s usually because the girl fell pregnant along the line and the guy sees it as his duty to marry her. Not necessarily out of love. We have seen this happen too many times. Let’s face it, it doesn’t take a serious man even 5 years to know if he can marry a lady or not. I understand that there may be other constraints, but dating one man off and on for 12 years before he marries you already smacks of something off. In this case, the man is almost 12 years older, he was no baby, and he wasn’t poor. As a matter fact he is from a comfortable background. So pray tell why he would pussyfoot for so long before putting a ring on it if he really wanted her for a wife. How does it take 12 years to make up one’s mind about something, anything at all? Toke was the side chick all along. She may have gotten that little cuff around her finger at the end of the day, but there is absolutely no doubt that she was the mistress. And before you try to argue with my submission, please read the book. Even she admitted as much. But she didn’t have to. Any objective and discerning mind who has no vested interest in the situation or is blindly loyal to any of the parties would deduce the same thing based on all that transpired between the three main characters in the book. It was as clear as day from night that Maje always preferred Anita to Toke. It’s not however clear who he started dating first, but from Ms Makinwa’s revelations, her rival certainly got a better deal from Mr Ayida. Beyond the fact that he had allegedly cheated on Toke so many times, and with many different ladies. Anita it was whom he spent a whole week with in Calabar when she had a bike accident while he told Toke he was in Abuja. Anita it was whom he attended her convocation ceremony at the University of Benin. He never extended the same gesture to Toke, who was supposed to be the main chick. Anita it was whom he preferred to hangout with immediately he returned from a three months trip, while Toke waited to see him much later. Anita it was for whom he flew to Abuja to be present at her Call to Bar ceremony when Toke was also in the capital city oblivious of her “man’s” whereabouts. And Anita it was whom he chose to have a baby with even though he was married to Toke. Who then was the side chick? Toke has received a lot of flak for revealing so much about her personal life. There’s also the notion that she wrote the book to make a quick buck as some form of compensation for all she went through. While her real motives for opting to write a “tell-all” book may never be clear, I believe that penning her experiences for others to learn from is a brave move. It’s not easy to chronicle the unpleasant events of one’s life for strangers (who will no doubt play judge) to read. And maybe, just maybe the OAP’s story will slap some of us ladies back to the reality that getting married doesn’t necessarily translate to being the proverbial Apple of your husband’s eye. Sometimes, a marriage is only a change in status. A ring remains an object; albeit a symbolic one. At the end of the day what really matters is how the person we have chosen to be with treats us. How they respect us. How they make us feel. Toke thought she had “won” when she got the ring, and the married woman status. Unfortunately, it was all a mirage. You can be the one with the ring, and be the side chick too. You may get the ring, but not the heart. If you didn’t know that before, now you know. Marriage isn’t always the answer. Let no one fool you. P.S: In all of these, I am just thankful on the behalf of Yoruba boys who have been tagged “Yoruba Demons” due to the widespread belief that they have a penchant for dating more than one woman at a time. If Maje were from this tribe, it would have been the final nail in the coffin for the reputation of Yoruba boys. I just saw the postscript. Yoruba Demon, Yoruba Demon, yet dem no dey gree Yoruba Demons rest, na their fantasy be that. Isn’t the Demon you know better than the angel you don’t know? The demon that handles you with care ???? You people too should repair your badly damaged reputation. Nice piece. Exactly my thought. Well done sis. Makes so much sense. Women no dey hear word sha!!! Haaa! Brilliant piece, as always! Toke’s marital experience by your account no doubt, was an unfortunate paradox. However, like you advised, I need to read the book before forming an opinion, but, for a clearer understanding of what transpired and who the victim really is; one needs to read beyond the book and get the account of the other party (ies) involved. Like you, I wouldn’t judge, but one thing is clear; the two of them were not sincere! Their relationship was a cocktail of ‘deceit’ and ‘delusion’. Question now is; who fooled who? Like I said, we really can’t say until we hear from all the parties involved. When a woman chases after fame and fortunes and is always ‘Out There’ hugging the limelight, how much time do you think she would have for the man and kids? Perhaps, Toke has a few questions to answer as well ! – this too, is a take away for the young and single girls. You’re so right ma. Thing is we may never hear from the other parties. Yes, please read the book, it’s quite an eyeopener. In summary, this is the honest truth. There is more to a relationship or marriage than a piece of ring. Wearing the ring doesn’t necessarily mean you have won…. You can say that again my dear! Very beautiful write up.keep it up Lolade. Am very proud of u. Thanks a lot dear Mo. I hope ladies not just read Toke’s book but learn from her mistakes !! I hope so too. I sincerely do. Thanks babe. I love your thought on this issue. You did justice to it. What a lesson to our ladies. “Ring is a symbolic object”. Thank you too Addy Dammie. Thanks for your observation Sini. I dillydallied between tagging it a paradox or an oxymoron, but eventually opted for paradox as I found that it can also be used for a seemingly absurd or contradictory statement. Thanks for reading too. I like how we always have vast opinions bout everything, its not a bad thing though, but I think we must always try to be realistic and honest, and quit this gender bias. I am sorry, I have not read the book, and I definitely won’t, but both the lady and her ex were and are totally unserious, I agree with the writer on one thing, the toke lady should have seen the signs, if the maje guy did all those things she claimed, he was totally out of line. Now to the side chick part, I can state here that this affects both the men and the women, some ladies marry for convenience, while being in love with someone else, just like some men do, so when next the writer chooses to give an opinion, express it from both sides. Thanks for your contribution. As the writer, I believe I was as realistic as possible in forming an opinion based on what I read. Since the author of the book is female, and the alleged “villain” is male, my observations were always going to stem from a feminine viewpoint. I do agree that both sexes can be “victims” of the side chick or side guy syndrome however. Thanks once again.